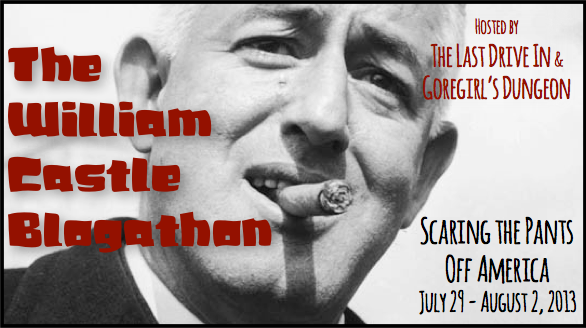 When I was approached by Goregirl over at Goregirl’s Dungeon about taking part in a William Castle Blog-a-Thon (co-hosted by The Last Drive-In), I couldn’t possibly say no. Castle, after all, is exactly the kind of filmmaker we should all admire. He had big ideas, and he used them to make movies infinitely more fun. I wasn’t exactly sure what to do, but I was pretty sure that whatever it was needed to focus on his gimmicks in some way. 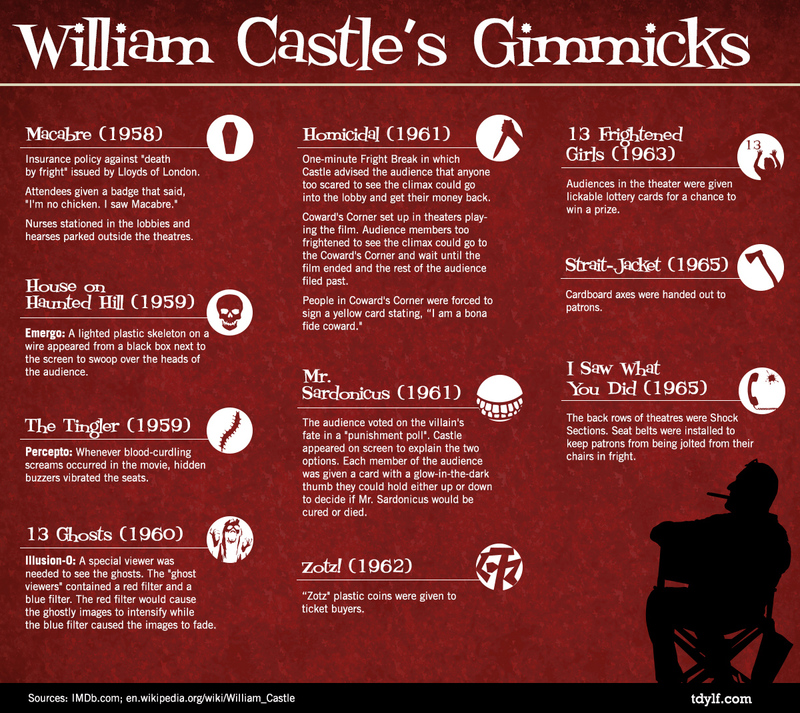 Enter the William Castle Gimmick infographic. Enjoy! And be sure to check out the other articles from the full list of participants to get a complete picture of William Castle’s greatness. As always, click on the image for the full resolution version. It’s possible that Castle’s greatest stunt was managing to be the producer of “Rosemary’s Baby”. He’s got a fun cameo in it, too. It blew my mind the first time I heard he was in that. 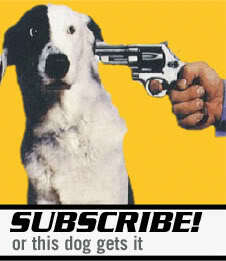 Can you imagine if he’d directed it? Wow, what a great infographic. It’s rare to see something like this in blogathons, and I thought you were very creative and informative. Thanks! I’ll be sure to swing by. Castle is the absolute master of the “seat jumper” in films. I still marvel at the “old crone moment” in ‘The House on Haunted Hill’. And also fell victim to screams when watching ‘The Tingler’ and had the backs of my ankles brushed by “something” at the Langley theater as nine year old kid. Point of Interest: Castle spent every dime to buy the rights to ‘Rosemary’s Baby’ and had every intention of directing it his way. Until word came down that Polanski, Cassavettes and others had an interest in the project. Producing the film is almost as good. And it did make enormous, memorable money. And he got a cameo in it, which is great trivia. The Tingler is my absolute favorite. Admittedly, I don’t think I’ve even seen half of his films but to me, The Tingler embodies all that’s right about William Castle.